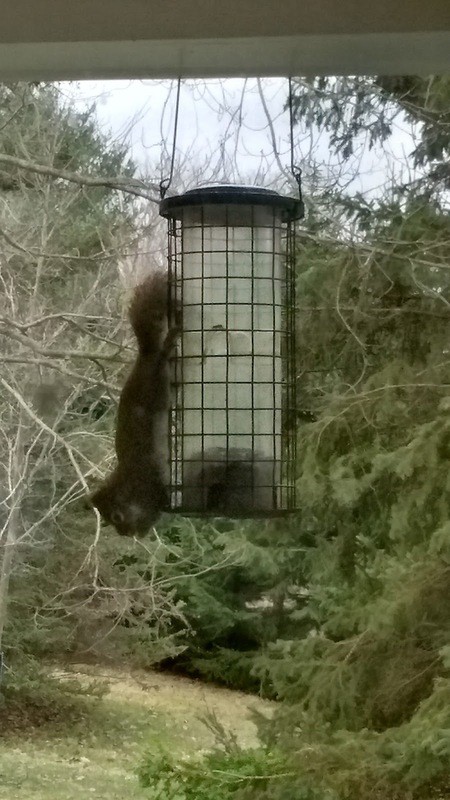 Thus miscreant has been pilfering the bird seed. Red squirrels here are different from the European ones - much brasher. Although I have something of a guilty conscience with this chap, as, a few years ago, one of his ancestors came to grief in a confrontation with my car. Another succumbed to the neighbours' cat. But the family seems undaunted. Recently I had a conversation with a lady who lives the other side of town, up a hill. She religiously takes her bird feeder down on 16th March - not because of the squirrels but because the local bears come out of hibernation on that date and they love making off with bird feeders.. Amazing how they know it's 16th March.